Yesterday my firm emailed everyone to announce its participation in the Faces of Change school supply drive. This is a really cool effort, and since we have not done a service project in waaay to long, I decided this would be a good jump start back into the projects. Honestly, the kids have asked me several times over the past month when our next project was. I have been so tired and busy, that it felt really good to do this. So we decided to head to our office supply store for our supplies because they had 20 cent notebook paper, pens, and notebooks with a coupon I printed online. 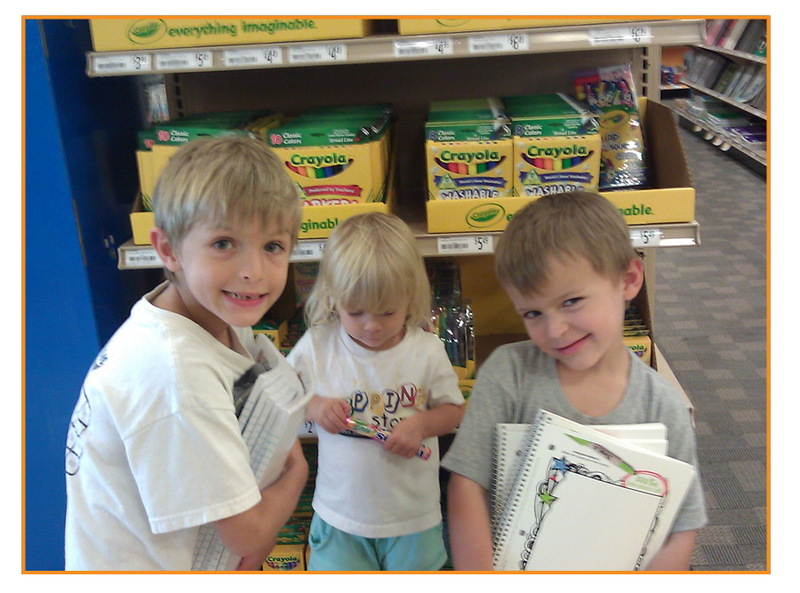 The kids loved looking for supplies to help others who could not afford their own. I’d explained to them what we were doing, and it kind of got them pumped up for the start of school too. They each wanted to help me carry everything, it was very sweet. Except Madi, who was more interested in her Mentos. Now for the GOD part of all this. I have been really into couponing lately so that I could be a good steward of the money God has given me to use. 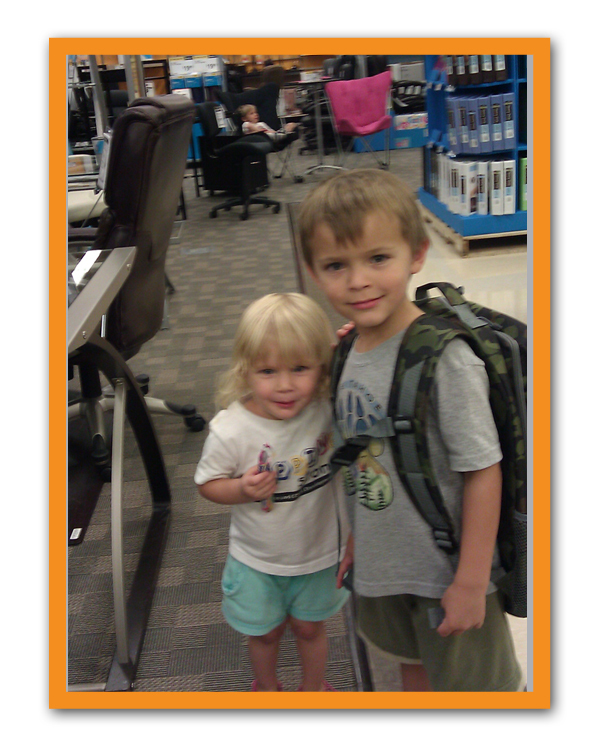 I went to an office supply store because of the school supply coupons, but knew that they also had backpacks for 100% back in a store reward program (free). So Tyler found one he liked, and it cost $20. We got up to the register to checkout and the salesperson told me that I could use another coupon on the printout for $5 off if I just bought something for $1 more. No brainer, right? So I let Cole pick out some M&Ms. The cashier rung it up and somehow my total came to $11. He could not figure out what happened so the manager came over. He could not figure it out either and just said, “Hey, you win the lottery. That will be $11.21, and you will get your full $20 MaxPerks back.” WOW. So they paid me $9 to take the backpack, school supplies, and candy off their hands. The kids were pumped at our amazing deal, and I was sure to point out to them how awesome God works through people on earth. I told them that when we give to others, God gives it back a thousand times over (and sometimes it even comes in the form of free M&M’s! ).